You had never seen your ancestors, but because of them you are here. Their lives may be greatly different but they may also show some similarity as yours. You may be wondering why there is a need to study the persons who are already buried and forgotten. 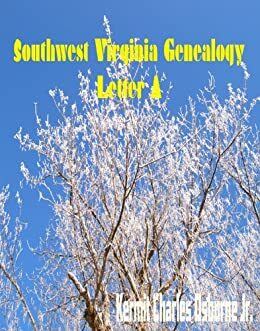 However, learning its importance can make you realize that genealogy is fun and a challenging experience as what some books have revealed. Studying the genealogy of your family does not only mean giving honor to your ancestor’s importance but it’s simply fascinating. You could learn many things including the reasons why your parents both grew from one place or another. Take for instance; in the past, Hessian soldiers have fought the American invaders in the name of Great Britain. If you have traced that one of the Hessian soldiers is your ancestor, then probably you can find a few relatives in Pennsylvania. This place had a big population of German-Americans; most of them were once Hessian soldiers. Later on, they deserted Great Britain and fought for the United States of America. You can also search in Ohio because some their descendants had also moved there. 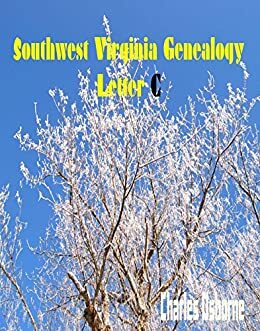 Sometimes you will wonder why a particular first name or given name almost dominates the family tree, even the original surname before its American alterations. The immigration officials find it very difficult to pronounce many names. So, they have changed the surnames on the documents during processing of immigrants. You can find the true surname basing from the occupations of the ancestors. Most of the surnames were derived from the type of livelihood of the person such as Baker, Tanner, and others. Some medical conditions are believed to be genetically passed from one person to another. Learning the genealogy of your family can help you excavate your medical histories. Illnesses associated with the heart, cancer, auto-immune disorders and more are known. Most often medical conditions are known through stories. In case you don’t obtain any information, search death notices that oftentimes stated the causes of death. In this way, you would be able to take good care of your health. If you have known that cancer runs in the family in the past, then you can be more aware of your smoking and eating habits. This knowledge can encourage you to undergo genetic testing. If you would ask where to begin with, the best way to start is to read books and other research materials from genealogy associations or genealogy libraries in your community. You can also join genealogy groups or associations because they have their own library for doing the research. Some even conduct genealogy jamboree. Others include purchasing the recent publication or books on genealogy and software as well. Another source is the internet. Genealogy enthusiasts find information by accessing the research materials and joining genealogy forums to connect with relatives in far places. Whatever resources you used from books to other written materials to internet, still the main objective are similar, that is learning your family history and accepting a very challenging task.